‘Where was the Yeti found first?’ A child asked. The grandfather replied, ‘Yeti was first noticed in Nepal. So Nepal is probably the origin place of Yeti. Now Yeti was believed to be found in Russia, India, Bhutan, China and Mongolia. However the research for Yeti should be specially centralized in the mountainous parts of Nepal because Yeti has been mostly noticed in Nepal.’’ Another child asked, ‘How can you say that Yeti was mostly found in Nepal?’ ‘Let me tell you the history of the detection of Yeti. First time in 1832, B.H. 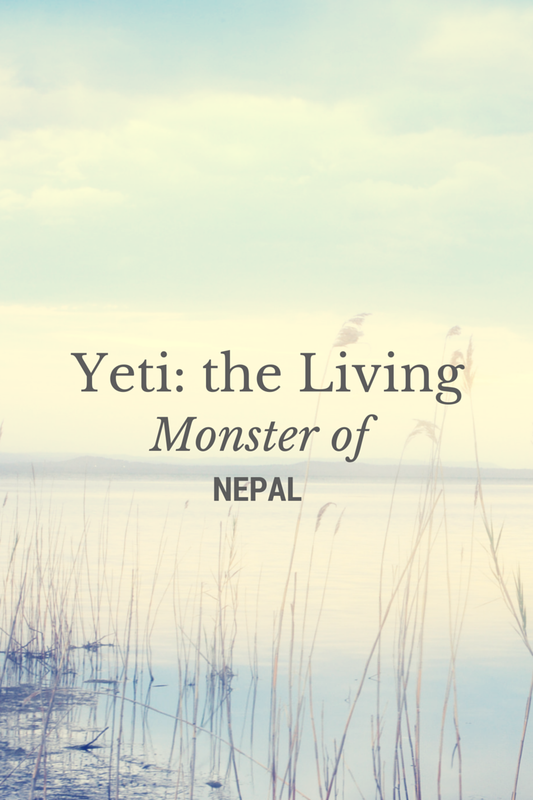 Hodgson and a Nepali guide saw Yeti in the northern hill of Nepal. In 1951 Eric Shipton took photographs of the footprints of Yeti while climbing Mt. Everest. In 1953 Sir Edmund Hillary and Tenzing Norgay Sherpa found the footprints of Yeti while scaling Mt. Everest. In 1954 John Angelo Jackson took the photographs of Yeti while trekking from Mt. Everest to Kanchanjunga. In 1970, Don Whillans claimed that he saw Yeti in Annapurna mountain of Nepal. In 1974 a Yeti tried to kidnap a village girl of Nepal. Are not theses proofs enough to say that Yeti is mostly found in Nepal?’ ‘Yes.’ All children admitted. ‘Is Yeti really existed?’ Another child asked again. The grandfather said, ‘I have already said that many footprints of Yeti have been detected. And also many researchers claim that they have found Yeti on their journey. In 2013 Yeti conference took place in Russia where scientists presented the fur of Yeti. However, these proofs are not enough to prove Yeti. There are more proofs against the existence of Yeti. The biggest proof is that there is no real photo or video of Yeti. Only finding footprints and fur are not enough.’’ In this way grandfather gave the introduction of Yeti. After introducing the Yeti, the grandfather started to tell the imaginary stories about it. Where government jobs exams and other competitive tests will require high punctuality, patience and hardwork. Also sites like this will be badly needed who is going serious about getting a job in govt. sector.